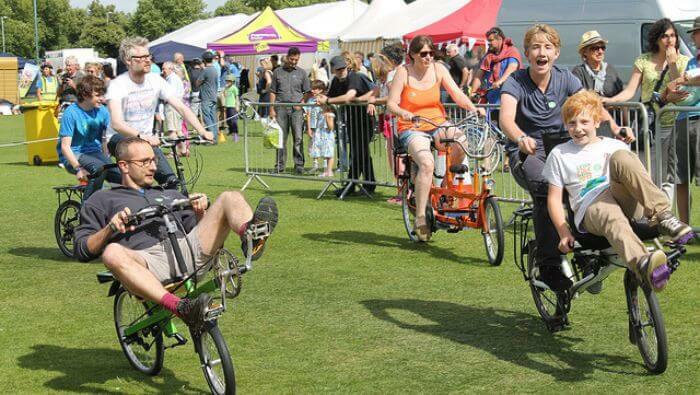 A Try Out Show is loads of fun and a great way to get people excited about bikes! In a relaxed off-road environment it’s also an opportunity to show new cyclists how enjoyable cycling is and to get them enthused to take it up. 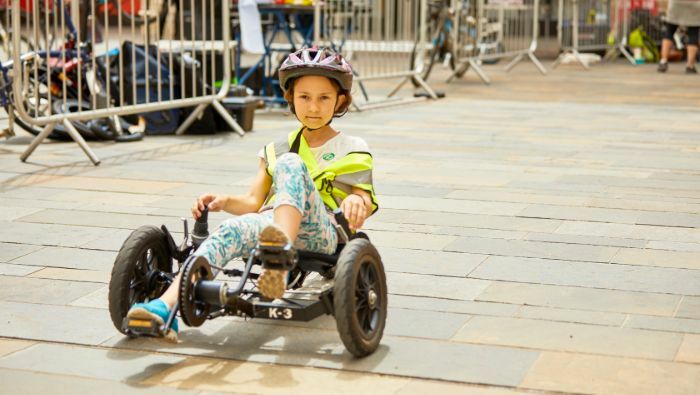 We bring along a range of bikes, from standard utility bikes for all ages through to our collection of more unusual bikes including recumbents, KMX karts, tandems, cargo bikes, mini folders, electric bikes and even our half bike! 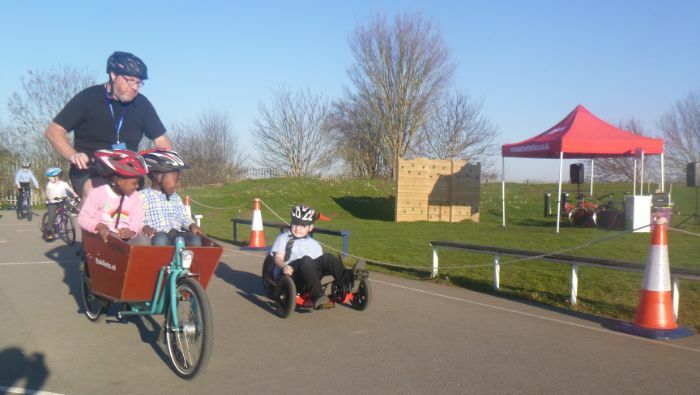 We can tailor the bikes to suit the event and as specialist retaillers in family and utility cycling we can bring specific ranges of cargo bikes, tandems or children’s bikes to suit you audience. We also run a dedicated schools Try Out Show programme with a day of structured sessions alongside our Pedal Powered Jukebox, which can cover up to 8 classes alongside an after school parent session in a single day, catering for up to 250-300 children. For each Try Out Show we provide a dedicated team of staff to setup and run the Try Out Show for you. All we need is the space and access for our vans. Minimum Space Required: 10x16m plus 3x3m for the sign up gazebo but works best with approximately 15x25m plus the 3x3m. Power: None – all pedal powered! Custom Branding Option: We can offer custom branded bikes, gazebos and signage. Get in touch for details.